When you plan a trip do you shop for new clothes, shoes or accessories? It can be part of the giddy anticipation that comes with travel to a new destination or returning to a favored one. However, once home many of those pieces may never see daylight again and stylish travel clothes can break any budget. They’re not always practical either. When am I going to wear that shearling coat for Switzerland once I’m home in San Diego? While home my workday outfits depend on comfort and most of my closet stays in the shadows. My passion for fashion is an indulgence, a guilty pleasure dependent on Thrifting. It’s the thrill of the hunt, I tell myself. I’m supporting XYZ charity shop. Perfectly good pieces are kept out of the landfill and I’m not supporting slavish work conditions behind much of today’s cheap, fast fashion. I also acknowledge that thrifting is not for everybody. A couple of times a year I’ll take a break from the computer and run a few errands that are close to some of my favorite second-hand shops, especially if they have a boutique with better brands. It’s fun with friends or a guilt-free break from my home office. It can be part of a trip too. Going thrifting with gal-pals in new cities is always fun. Finding a few stylish travel clothes to supplement what I’ve already packed –like the missing raincoat in New Orleans, water-proof sandals in the Bahamas – can be a necessity. Then there’s packing for a special trip and I’m awash with imagining what to wear at the wedding, the party, the reunion. I found my first Baggalini tote in a Goodwill Boutique and have bought new bags over the years. The model I favor works for all my gadgets and collapses into the suitcase when I travel carry-on only. I found a pair of nearly-new Dansko sandals at a Cancer Center shop and it introduced me to the world of clunky yet light-weight support that my feet crave on walking tours and long travel days. Since so much of my work depends on being mobile, I’ve since sprung for SAS sandals and Nordstrom winter boots. The sandals kept me cool and blister free on long days trekking through Petra, Jordan and are stylish enough to mix high or low since I’ve been home. The snow boots are ready for the next wintry adventure. Travel involves fantasy. It’s like a courtship before you notice the pimples and staying in love takes work. Travel does too! I’ve written about packing carefully before but this is about keeping the dream alive and still staying grounded. The time to try out new fashions is at home. If you love wearing cut-off jeans then pack some by all means. Don’t pack them if you only imagine how they’ll look while traipsing around Santorini then cringe when you get a glimpse of your backside in a store window. I may pick up a piece or two with the intent of wearing them someday. Haven’t we all? So, it’s all the more fun when the pieces fall together and create an outfit you hadn’t envisioned. This post was inspired by a country wedding trip I’ll be going on soon. I wanted to wear something fun and found myself near a great Commission shop recently. Once I got home with the vintage-cut dress which fit perfectly I suddenly discovered that I had an ensemble! That one dress pulled together several things in my collection (and don’t picture Carrie Bradshaw – I have only one, very full closet.) Now it’s going to be the centerpiece of my summer travels. Most importantly, I’m testing it at a local farm-to-table dinner before it gets packed. It’s all in the past – or is it? My love of past fashion began early. Mom dressed professionally through the 40’s and 50’s until the family moved from San Francisco to the suburbs of Southern California. Hello, flip-flops and Bermuda shorts, goodbye hourglass tailoring, silk and linen layers. While she was busy raising four of us some of her favorite pieces were stored in the recesses of our ranch house. (Do I detect an inherited pattern?) Luckily for my sister and me as we entered high school Mom let us wear her suit jackets, riding pants, and Peter Pan collar blouses. Later I inherited pounds of vintage jewelry and scarves from an aunts. Those were the days when Julie and I would pour over Vogue magazines and teen fanzines for inspiration. We would hunt for knock-offs on forays to Los Angeles. It was such fun for Catholic High School girls who sent our weekdays in stiff uniforms. After graduating I took a job at a ’boutique’ in a new mall and spent my commissions on wild colors, hot pants and miniskirts. Julie could sew and I envied her concert dresses. I still picture her Mary Quant look, Cher bangs, high necked silk mini dress. 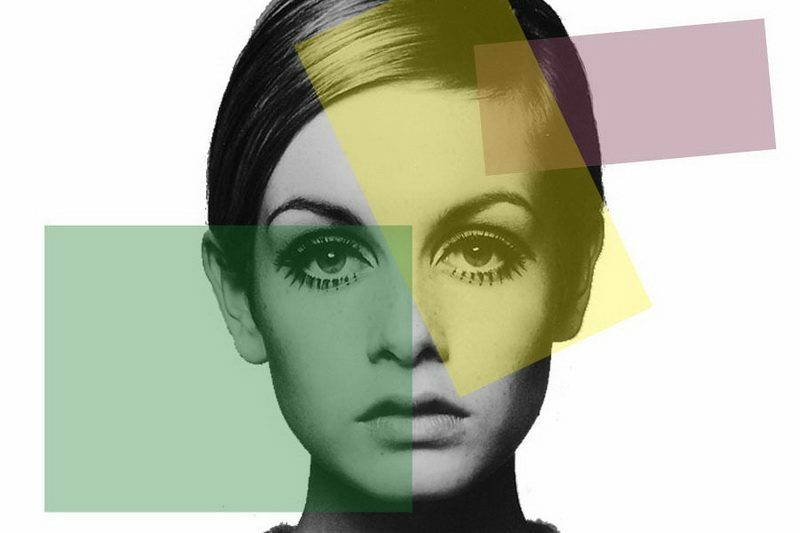 We were never good hippies – more mods and Twiggy acolytes. Yes, I know that none of those references are faintly recognizable now. But wait! In a newly refurbished La Jolla mall windows are filled with crop tops and high waisted shorts. Just like mom wore! Think umbrella drinks, the Tommy Bahama brand, and Jimmy Buffett’s Parrot club. The current trend for all things Tiki is tied to imagining carefree times when life was about margaritas and grass skirts. Those longings are back bigtime and packing the part can be a challenge. How to press crisp shirts, long skirts and platform shoes into your limited luggage space? Build your wardrobe around a few central pieces. Mix and match and make sure that where you’ll be staying has an iron! You don’t have to dress like you’ve just stepped off stage but consider it a personal sense of style. I have a Harley Davidson biker shirt to wear with cropped pants as well as a skirt – it’s so comfortable and travels well. A fitted skirt can be the core of your stylish travel clothes and keep you from looking like a tourist. Dress up and down – sneakers and platform pumps can make all the difference. 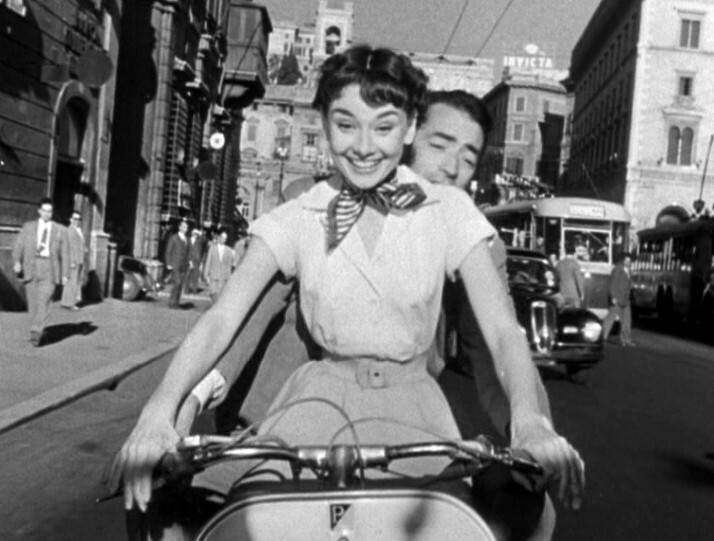 Add a neck scarf and you’ll feel like Audrey Hepburn. It’s been a good run but now when I look in the mirror I see my middle-aged mom. If only I’d taken after my father’s slimmer side of the family but it’s just not happening. So here I am shaped like a pear unless I starve, exercise 3+ hours a day and rely on surgery. Not going to happen. At the same time, I’m not about to give up my hard-won sense of style. It’s just different now. I want to live this Coco Chanel quote – “After 40 nobody is young, but one can be irresistible at any age.” Recent articles and documentaries feature older women and the freedom they have with stylish travel clothes and everyday outfits. I aim to pack that into my travels when I’m 80! 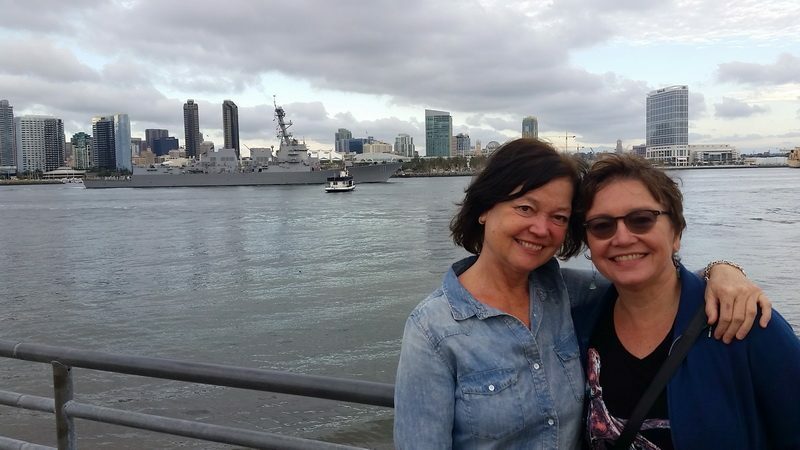 My thrifting partner and sister, Julie joins me in front of the San Diego harbor. With all this talk about shopping, it may surprise you to know that I believe in living simply and work to keep my possessions to a minimum. I admire the trend towards minimalism and the energy it takes to live with only what is necessary. Part of that comes from visiting Japan several times where an aspect of Buddhism and Shinto that values nature, ancestry and spurns materialism resonated deeply with me. 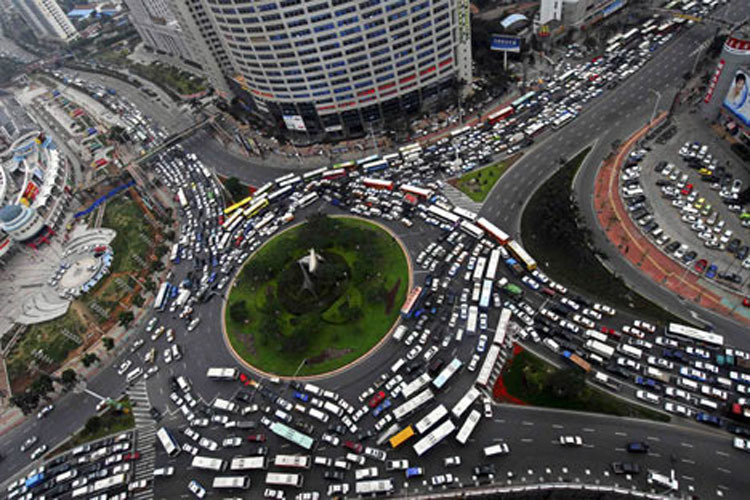 However, I live in a fast-paced society that is consumer driven and distances itself from nature. How to find balance is the question. It’s a solo journey that takes time. So, if I bring home a ‘new’ item, I get rid of one and that can be fun. Have you ever had a gifting party or traded clothes with friends? It’s soul-satisfying. I remember how excited my younger sister-in-law was when I gave her the sequined cocktail dress that my mom had given me. There was no way I would ever get into that Size 7 sheath again. It made the both of us happy. So, as I look for future stylish travel clothes I’m looking forward to more thrifting and gifting! 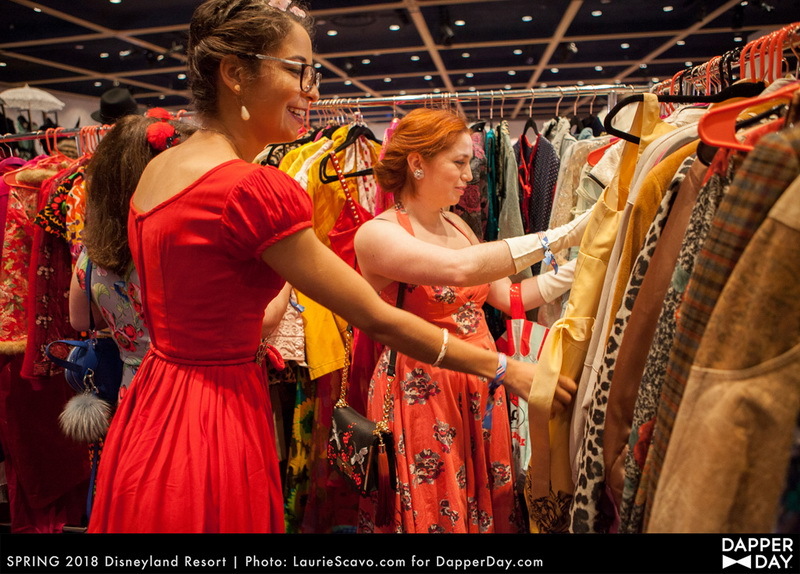 Visit the Dapper Day Market place and attend Dapper Day at Disneyland, Disney World and other locations. Link to Fall 2018 event. Need a bit more inspiration? 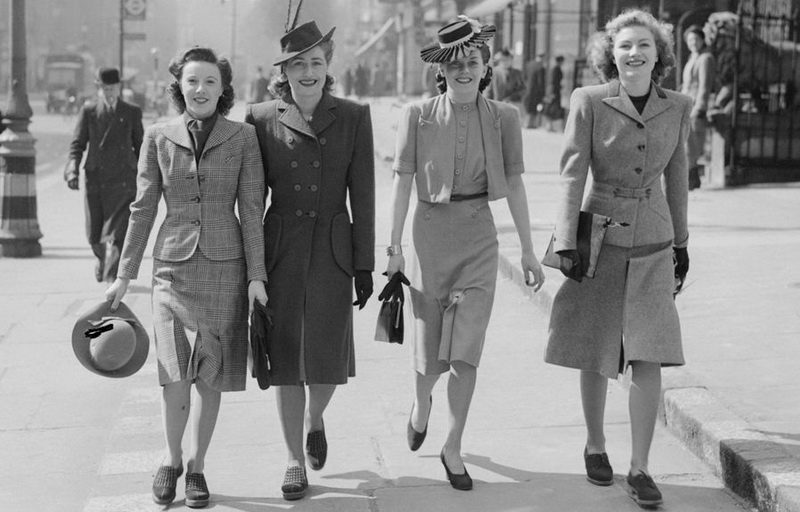 Check out this article about Older fashionistas from the Guardian Press. Sharing is caring – Pin this! I love this statement you made: Travel involves fantasy. So true! And I think that’s where I’ve gone wrong packing a few times. I’m a horrible packer. I too often think it’s a great time to pull those clothes out of the drawer that I never wear. “This will be the perfect opportunity,” I think to myself. Wrong!!!! They’re never worn for a reason. Your post really hit home. I won’t make that mistake again. I’m so glad you enjoyed this. I keep making the same mistakes about clothes again and again! I used to do a lot of thrift store shopping when I was in college. It’s fun! And as I got older I sometimes go to consignment shops – I sold some of my suits there when I retired. I just read about thrift stores in Paris. Would love to go to them sometime. I feel like I always overpack when I travel. But I try to minimize by coordinating colors of tops and bottoms and shoes. My kind of gal. I can only imagine those shops in Paris. So fun. I love a good thrift store and I’m happy to have some good ones where I live in Florida. My biggest challenge is shoes, and while I try to pack the big 3: comfort shoes, a dressy shoe, and flip flops, I still get stuck in places like Capri, Italy, where it’s all about the fashion. 😉 I love that quote from Coco Chanel, and agree that we can look irresistible as we age. 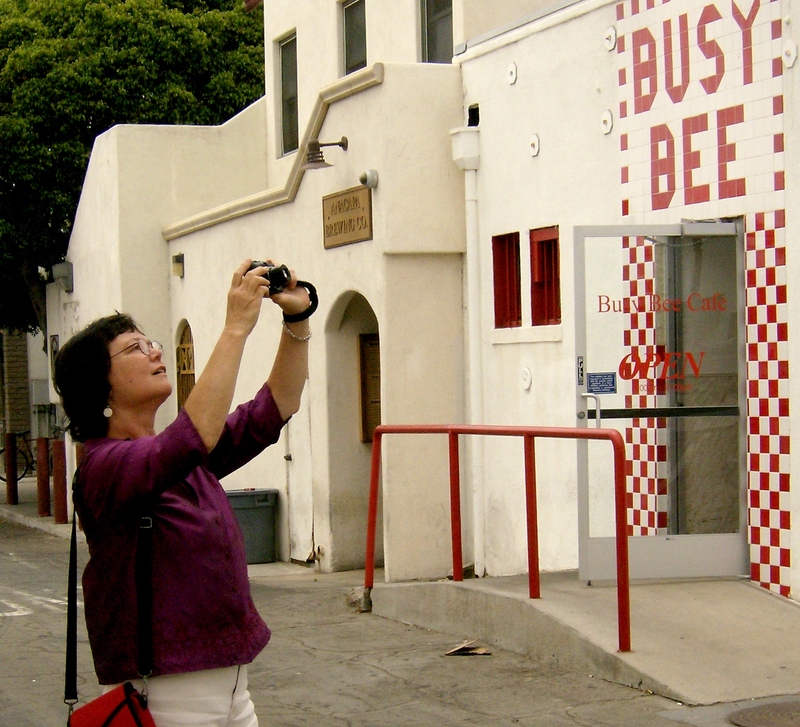 Some of these sassy Instagram octogenarians are living proof! Yes, stylish shoes are hard to travel with. I fudge by packing a fancier sandal – it takes less room than a pair of heels. I love thrift shops and, ironically, it’s when I am on a trip I enjoy them the most. Then I wear my new finds on-the-road. I always try to under pack in order to save space for my new finds. I had never heard to Dapper Day. I’d love to attend one of the special events. Thank you for all the great tips…next to travel, shopping is my addiction! You have more discipline than I – leaving room in the suitcase is a challenge. I had a friend who would leave items behind in hotel rooms on purpose. That might work! Thrift shops are a great way to enhance a wardrobe for not-too-much money. I also often visit them when I travel and often include them in my write-ups. And I do enjoy finding a new fashion item when I’m traveling. I will usually wear it to death on the rest of the trip and then forever associate it with that trip. I love that association. I pick up a scarf or pair of earrings as my souvenirs. Travelling certainly does change your view on fashion. Especially when you have the carry all your clothing in your back in a pack. Love the Disney days. So many pretty dresses. I feel you. Did a 6-month backpacking trip from winter to the tropics. I never wanted to see that one burgundy sweater again! Loved the post – and I thoroughly enjoy the challenge of ‘thrifting’ both at home and abroad. 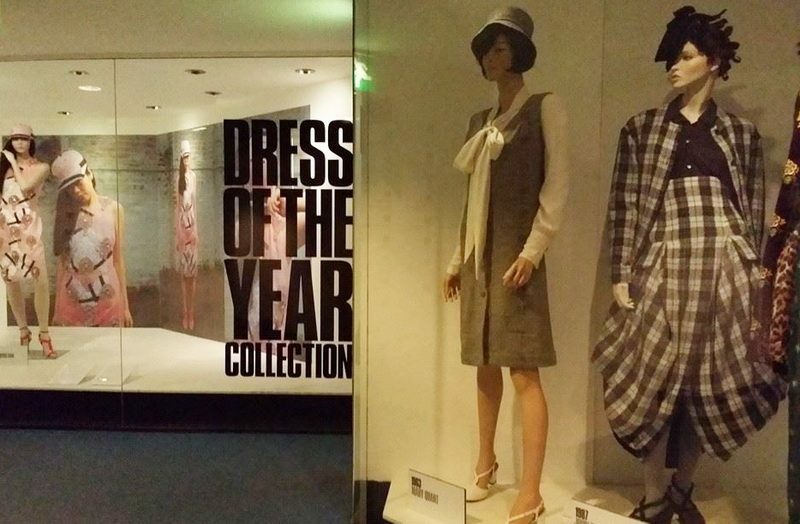 I confess, I used to wear Mary Quant designs before they were museum pieces. Perhaps that makes me a museum piece, too! One travel ‘must’ for me is good sandals. Most European designs are, I think, moulded and sewn correctly. Years ago flip flops were fine, but not any longer. Same for me with flip-flops and I too remember those Mary Quant designs. Lucky you to wear them! I am absolutely the wrong person to talk about it. But I liked your approach. That vintage photograph and historical references gave it a new perspective. Also, like your emphasis on minimalism. Don’t think most people get that. Thanks, Jutaditya. I haven’t met many men into thrifting but my son does occasionally with friends. Minimalism is my goal and too often my fail. I do shop before trips. But I only buy things I would wear at home too. There’s a few exceptions, like if I’m going on safari or something like that. That kind of clothing I don’t tend to wear in my everyday life. What to wear on safari is one challenge I’d love to meet! I agree that a lot of times we buy stuff we use only once or even never at all. I always say, since we are travellers , it is important to use the money saved by not buying expensive clothes and plough it into funding our next trip. We probably don’t have thrift shops in India but clothes are not so expensive anyway. Thanks, Vasu. Nice that your clothes situation is a bit less expensive in India! I haven’t shopped thrift stores for years…but can do so easily in my own closet! LOL! My wardrobe is about 75% Chico’s clothing that I’ve bought over the years. I still wear things that I’ve had close to a decade, but like to add a few new items when they’re on sale. I do give a lot of clothing to thrift stores, however, so I’m helping others in that way! Chicos makes their pieces so well that I can imagine them lasting a long while. Think of the time you’re saving too! Nice to pass the pieces on. Love the vintage photos! Minimalism all the way! I totally agree. I remember when I was young with a part time job – I would just go to the mall and blow all my money on clothes and other things. My favourite thing to do know is utilize clothing that is multi-purpose – like a scarf! Hands down best clothing accessory in my opinion, hehe. You have to be creative when you minimize your budget and it sounds like you’ve got it covered. Minimalism is one of my goals even in terms of traveling, tho it could be hard because as a woman, I do things sometimes only for the sake of insta! haha yes! Thrift shops as well are my goal! I occasionally check second-hand stores! Clothe swapping is a great idea, too! I probably had done it but just don’t remember well! Both will be happy then! We’re fashionistas at heart although I don’t do much for Insta. I admire that when traveling. Clothes swapping is fun. My sister and I have done it for decades! Great recs! I freaking love buffalo exchange! Its tough because I always seem to over do it there too…I think it comes down to my addictive personality so anywhere I shop I go overboard! Oh, I know this pain too well! I have to limit myself at Buffalo and certain consignment shops before I go in!! A great read and love the photos you incorporated into this one!! Thanks, Jackie. It was a fun post to put together. Hi Staci! 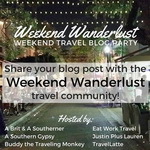 Are you part of the local Travel Massive in San Diego? We’re mostly writers/social media folk. Glad you enjoy thrifting too. 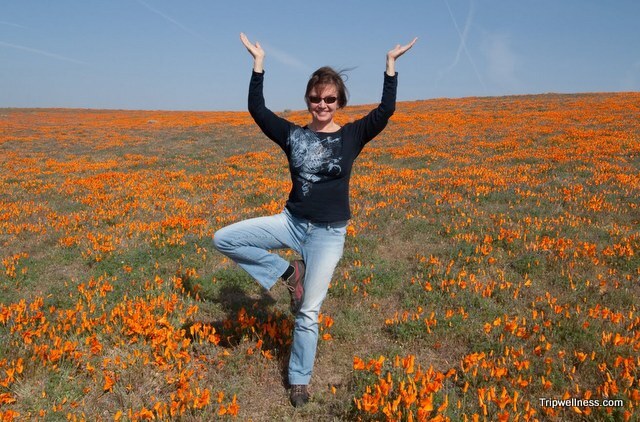 Elaine, it’s great to find your blog! 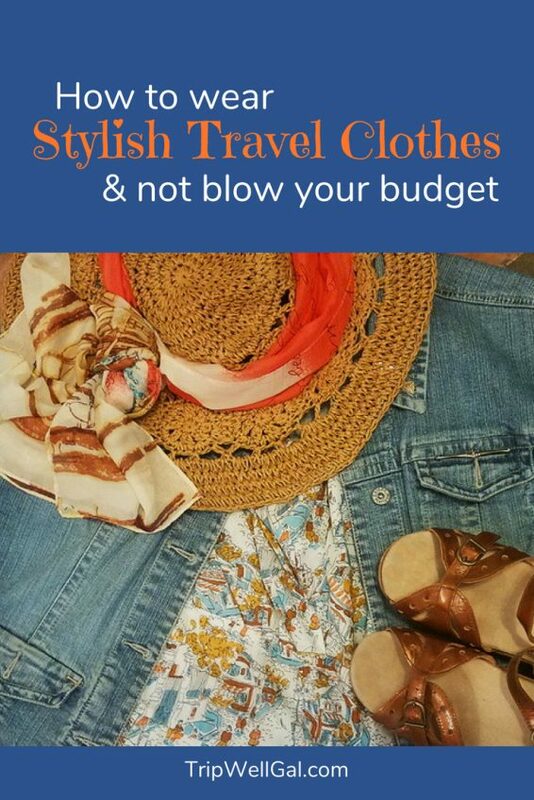 I thoroughly enjoyed your post on travel fashion, and I relate to all of things you say here, from the temptation to blow money on new travel clothes, to the reality check on what’s likely to happen to a piece of clothing that doesn’t really fit your clothing habits at home. And boy, I love your Chanel quote: “After 40 nobody is young, but one can be irresistible at any age.” At 53, I love my clothes and really believe that we can all be smashing, with just a little effort. I’m always buying new clothes and shoes when I’m about to head away. But I do buy one off items that can never be worn again back home. I do love the idea of one new item in, then one item goes out to make way for it. It’s been a while since I have visited a thrift shop, but such a great idea. May have to do this soon to get a little savvy with the purse strings and my wardrobe! Thanks for the comments, Sara. It’s so tempting to purchase clothing, especially ethnic pieces, when on the road. Too often I don’t know what to do with them when I return! I’ve framed a few even. It is enjoyable to dress stylishly but has to be affordable too. Often I find them getting out of fashion. Even I am into minimalism. Thrifting boutiques and exchange and charity shops are great idea. Thank you, Indrani. I see saris and Indian clothing often in my local thrift shops. They’re beautiful but I’ve never worn them! Will have to visit India. Oh how times change in the fashion industry! The most important thing when travelling is you need to be comfortable. And always pack approriate clothing for all weather conditions. I must say, when I travel, I always take to many shoes and somehow I always buy more! Funny about shoes but I’ve been tempted more than once to pick up a pair on the road. These days I’m limited by comfort, sadly. 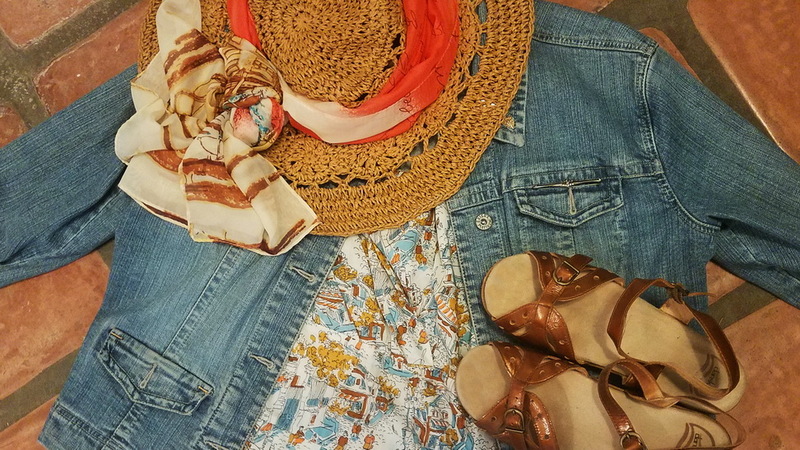 I totally agree with you that thrift shopping is the way to go when traveling! There are so many things you can find! Some of the best gifts I have been able to find for people back home have been unique gifts from shopping in thrift stores abroad. Great idea! I’ve done that a few times too. It just takes time and travel buddies who don’t mind a bit of shopping. I, too, love to frequent thrift stores in hopes of finding those hidden gems, especially vintage ones! I also like to have something new for a trip and then end up being challenged as to how to keep it part of my wardrobe when I return. I like your suggestion of having clothes trading parties. Nice to know a local thrifter! The parties can be a blast. I used to get new clothes for trips when I was younger. I do not do that anymore because I am more interested in spending money on the actual trip (not on things needed for the trip). I try to stick a neutral color palette and add pops of color with accessories. To be honest, I am so tired after my traveling days that fashion is the last thing on my mind. I too spent more on clothing when I was younger. The nice thing about packing outfits is that when I’m tired I can just put them together quickly. I’ve also started hanging out clothes for the next day so my decisions are easier. I’m totally with you on thrift shops and minimalism ( London is awesome for 2nd had pieces). But I travel full time. Everything I own has to a. fit into my backpack b. serve multiple purposes. So I’m all about practicality and usefulness. Which means…jeans every day, every climate. Hiking boots for cold, flip flops for hot. Coco Chanel would not love me! As an over 50 traveller I sometimes wish I looked half decent, but practicality has to win. I can imagine that limitation would be hard and I’ve known a few younger full-time travelers committed to traveling light no matter what. So what about Coco! I’m sure you look great and as you say, practicality has to win.